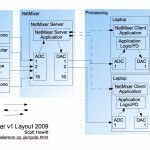 The Netmixer is made of up of two separate parts, the server and the client. They communicate over any TCP/IP or UDP network and can communicate over Open Sound Control if required. All audio sources are connected to audio inputs on the server machine. All required outputs are then taken from the server machine and passed through audio cables to target device(laptop / amplifier / effects unit). The mix received on each output is controlled using the client software over a network connection. 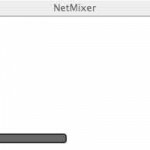 The NetMixer client allows you to control the mix of inputs received on the audio output you are using. The vertical signal level meters are prefader and indicate received level on the NetMixer server. 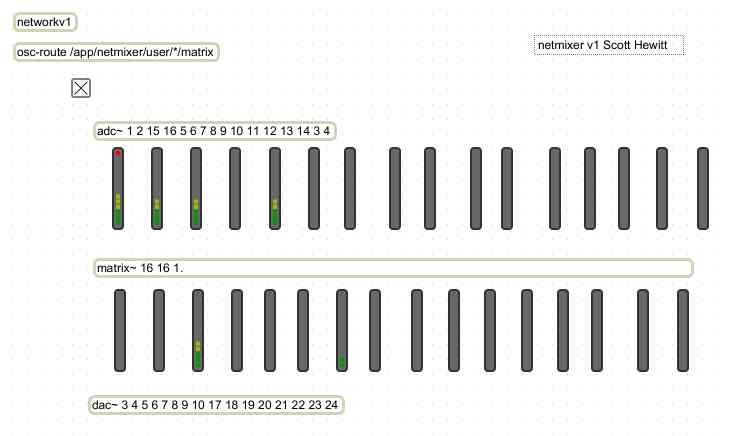 The horizontal signal level meter indicated signal level being sent out of the relevant Netmixer server output. The mix is controlled by the faders adjacent to the meters. 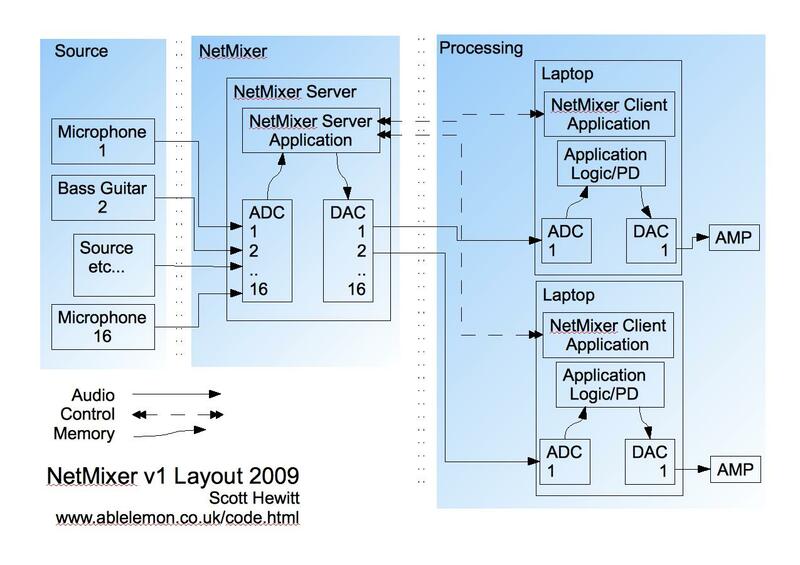 The NetMixer server implicates the mix control instructions it receives before generating the audio outputs. The first version of the NetMixer was used at an inclusive improv session details here. 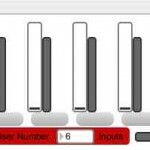 Netmixer will be used by the Huddersfield Experimental Laptop Orchestra at one of its assessed concerts. Details on Facebook here.